Ashmit Bisht of class IX-B participated in CBSE Cluster XVIII Chandigarh U-14 Athletic meet 2018 He got the Third Position in Shot Put Event Covering a distance of 10.13 mtr. State Level Science Survey report activity held at Nahan . Sanchit Sharma has been selected as representative in MUN (Model United Nations) to be organized in Kenya. He is a Class XII student(Commerce) and is the first to attend an International Conference from Baddi. Expenditure is borne by his parents and other local well-wishers. Nimish Bassi stood First from Himachal Pradesh in Entrance test organized by National Law University with a National rank of 62. He was one amongst 17 commerce students of our school. Madhurdeep Jain (XII-Non- Medical) cleared IIT Advanced Exam and will be joining IIT. He is one out of our 17 Non- Medical students. Mathematics Olympiad Sen. Sec. category 1st Prize. Science Quiz Junior Urban category 1st Prize. Mathematics Olympiad Senior Category 1st Prize. Mathematics Olympiad Junior Category 1st Position. Activity Corner Junior Category 1st Position. Science Quiz Senior Urban Category 3rd Position. 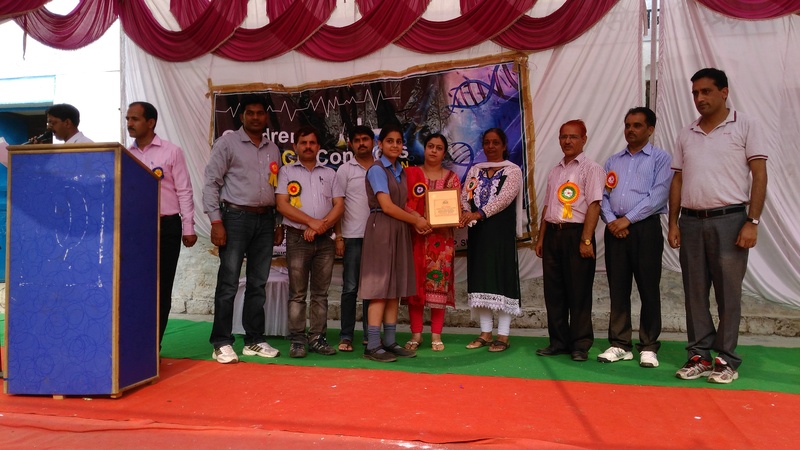 Winner of Regional Level Science Exhibition conducted by CBSE. 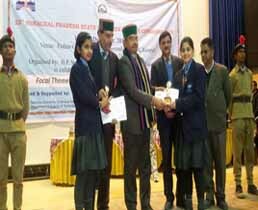 Winner of State Level Maths Olympiad Himachal Pradesh. 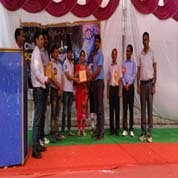 Winner - "Avishkar Quiz" competition which was held on all India Basis held on August 22, 2016. 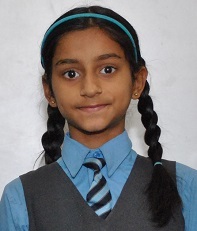 A child, Arpita Panigrahi of Class II was internationally felicitated for speedy calculations by SIP Abacus. She solved a sum in a record of 4 seconds and stood first. Shiv Banth of class VII,Sri Aurobindo Public School participated in CBSE 13 Athletic Meet (J&K, H.P,Punjab and Haryana) along with an eleven member team at S D School, Sec 32, Chandigarh. Schools from the above mentioned states had participated in the same event. Shiv won a silver medal in LONG JUMP game event covering a distance of 4.71 m. He has been selected for National Level Games which will be held at Raipur, Chhattisgarh from 24 December, 2015. The Principal and the Management congratulated the boys.